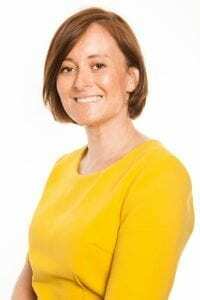 Is a collaborative approach to divorce right for me? Listed here are the 10 things you should know about collaborative family law before you decide which approach to take. Collaborative law is a form of alternative dispute resolution for divorcing couples who need strong legal representation, but would like to avoid going to court, the clients agree in advance not to take matters to court and they sign an agreement to that effect. Collaborative law is different from Mediation because a Mediator does not advise or represent the client and the clients need to seek advice from their solicitors during the process in any event. Each party appoints their own lawyer but instead of conducting negotiations by letter or phone you meet your partner together with your lawyer to work things out face to face, known as ‘4 way meetings’. Unlike a traditional divorce, collaborative law offers the client the option of retaining a team of divorce professionals, for, eg your divorce lawyer (which is essential in this process); a financial advisor to advise on the financial implications of any agreements or a family consultant who can support you and your children through the emotional terrain that sometimes exists. The process is not driven by a timetable imposed by the court, so to a large extent the process can be built around the client’s individual timetable and priorities. The process can be more successful in the long term than using the traditional court based approach as the parties are more likely to adhere to resolutions that they have reached themselves through negotiations rather than having ones imposed on them by the court. Once agreement is reached, the lawyers can draw up a document that can then be submitted to the court for approval. You and your former partner will not need to attend court throughout this whole process. The Collaborative process can be significantly less expensive than those traditional cases that progress to final hearing. 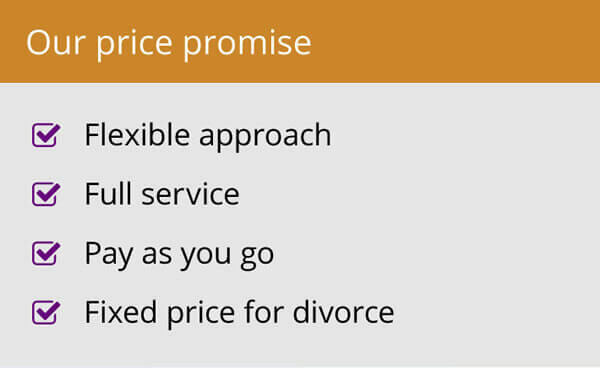 As well as reducing legal costs, it can also reduce the heartache and conflict which sometimes go hand in hand with marriage breakdown. In many cases, it is not the divorce itself that does so much harm to families but the way in which people divorce. 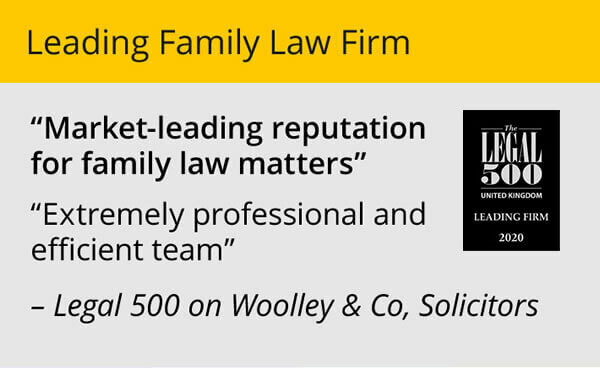 Woolley & Co has a team of fully trained Collaborative Family Lawyers. 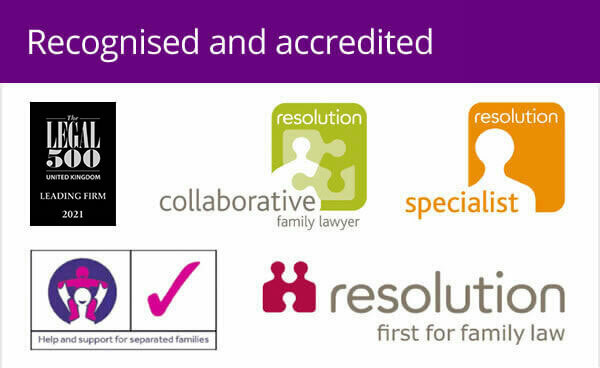 If you are interested in finding out whether a collaborative approach is suitable for your case call 0800 321 3832 to arrange a free, no obligation chat with a member of our collaborative team.